As a follow up of my last post, I will be reviewing the second runway show held at Asia House in London. This one was called the Fashion Parade and had pieces from a variety of Pakistan designers. It was a very cool event with some great designs and little cupcakes with FP on them. Here are some of my favourite outfits from the show. These first few looks were designed by Nomi Ansari who I actually spoke to after the show. His designs were so bold, colourful and orginal. They were a little crazy but so fun, I especially love the pom pom tights! This last one again by Nomi Ansari I really loved. It has this sort of pirate meets '60s vibe with the eyepatch and the pop art dress. I love this take on a high-low dress. It is so flowy and beautiful. HR was the brand of this outfit and these ones were so modern. They encourperated plastic, cut outs and even a nose ring at one point. They also had amazingly detailed shoes. This stunning dress and head crown was designed by Sara Rohale Asghar. This sweepy, sparkly dress was so pretty. It would be amazing as a super elegant beach cover up. Finally, this blue gown had the most gorgeous back cutout, which modernised the traditional design. 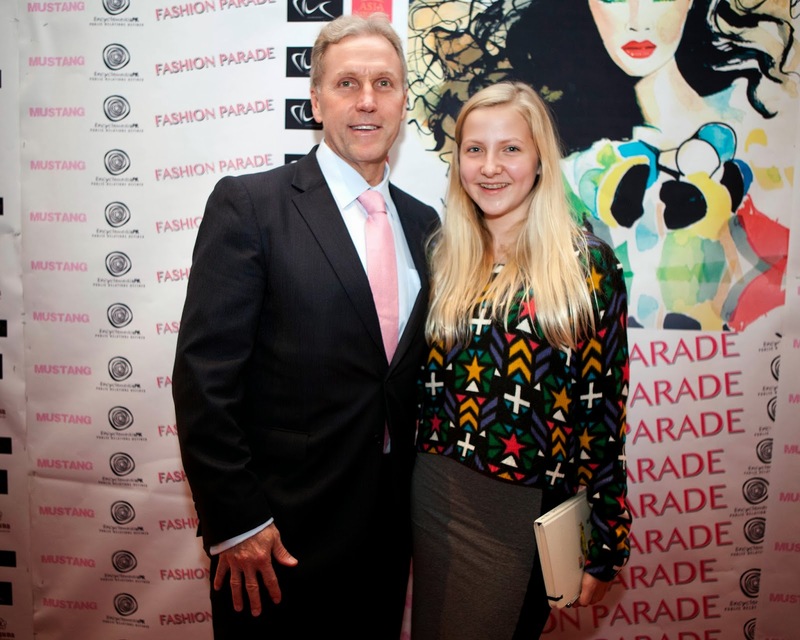 Here is a photo of me and my dad at the event courtesy of Asia House. My jumper and skirt are both from H&M.